Angela Apr 06 2019 9:42 am Can't believe he's all grown up. Currently watching Family. Love this kid as MakBong. Such a talented young man. LavigneValerie May 03 2016 6:11 am He is cute in the movie of "One More Happy Ending". Your so handsome. But Im so proud of you. I think were just the same age. 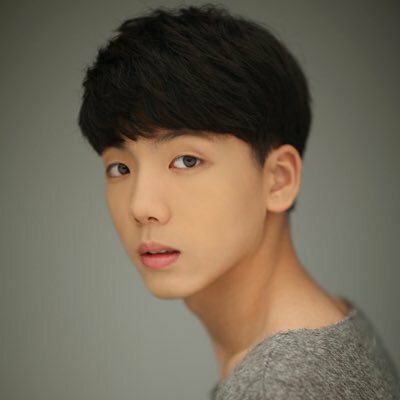 Take care always and God bless..
ramyeonjohayo Feb 19 2016 8:22 pm So young but already such a mature acting in the Drama "one more happy ending". Future strong actor with main lead potential for sure! IGOT7 Feb 12 2016 5:52 pm kyaaaa he's so cute~ too bad he's 3 years younger than me :'( aigoo, as your noona i'm gonna watch you grow up and become a big star hahaha. His acting is on point in one more happy ending! Krystal1015 Feb 12 2016 11:30 am Why is he younger than me?????? He seems more mature than his actual age. I'm only a year older than him, but he looks like he's 15 or something. aforese Feb 08 2016 7:31 pm You are going to be a big star some day. For someone your age, you have great charisma. I will be watching as you climb the ladder of success. Go get 'em! Ais Feb 04 2016 5:05 pm I really liked your role as Song Min-Woo on One More Happy Ending. Fighting! Tofo Matilda Bardi Dec 24 2014 5:01 pm Nice, Thumbs up!!!! !